Ornamental grasses are often considered to be drought tolerant. This is true in many cases, but not all these magnificent plants can survive severe drought. Even well-established cool-season grasses will need supplemental water, but some of the warm-season grasses are better suited to the dry conditions of summer and certain regions. There are several drought tolerant ornamental grasses that will perform well and grace your landscape with airy elegance. Is There an Ornamental Grass That Resists Drought? The gentle sway and seductive whisper of sound that ornamental grasses afford the landscape are balms to the soul. Heat-loving ornamental grasses have particular value in hot climates. 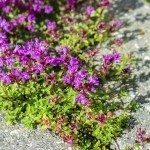 These water-saving plants are easy to maintain and generally tolerant of dry soils. 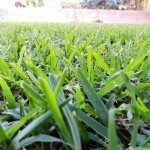 Choosing the right ornamental grass for arid conditions is important. Nothing is more fruitless than purchasing an elegant grass for its drought tolerance only to find it failing when the moisture levels aren’t right. 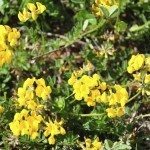 Whether you live in a dry part of the country or are just trying to be water wise, plants that thrive in low moisture areas are important choices. Ornamental grasses are not all adapted to drought. Even those that tolerate such conditions may need to be planted in a semi-shady location to perform best. Avoid grasses that require moist soil such as most Carex (sedge), rush, and moor grass. These are all native to regions with moist meadows or occur in ditches where water collects. Fortunately, there is a wide selection of ornamental grass for arid conditions and some that can withstand periods of drought in summer by going semi-dormant. Zebra grass is a Miscanthus that will survive drought if planted in partial shade, as do Elijah Blue fescue and leatherleaf sedge. 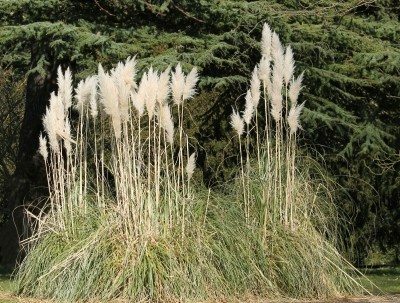 If architectural excellence is on your mind, you can’t go wrong with pampas grass, which prefers partial shade and, once established, is an ornamental grass that resists drought in any but the most extreme weather. Blue oat grass will add color and texture in dry zones, and feather reed grass turns a rich rust color with delicate airy inflorescences. Miscanthus variegatus and Schizachyrium Blue Heaven are two cultivars that have both drought proof growth and deer resistance. Planting and site preparation are crucial to healthy plants that have drought tolerance. Amend the soil with organic matter to increase fertility, reduce weed competitors and help conserve moisture. Loosen the soil a foot around the root zone so newly forming roots can easily grow through the area. Even drought tolerant grasses will need supplemental watering as they establish. Keep them moderately moist for the first year and then keep a careful watch in subsequent years for browning and drought stress. Many ornamental grasses will die out in the center. This is a signal that it needs dividing. Dig it up in the dormant season and cut it into 2 to 3 pieces. Plant each piece for a new grass but don’t forget to water until established. In most cases, little extra care is needed for growing drought tolerant ornamental grasses. If your grass seeds prolifically and the conditions are right, you could end up with more grass than you can handle. Deadheading flower plumes is an easy way to keep the plants where you want them and reduce volunteers.